Is it really human nature to stab one another in the back in our climb up the corporate ladder? Competitive, selfish behavior is often explained away as instinctive, thanks to evolution and "survival of the fittest", but in fact, humans are equally hard-wired for empathy. Using research from the fields of anthropology, psychology, animal behavior, and neuroscience, Frans de Waal brilliantly argues that humans are group animals. A Lot Of Things In Common With Our Animal Friends! We have long attributed man's violent, aggressive, competitive nature to his animal ancestry. But what if we are just as given to cooperation, empathy, and morality by virtue of our genes? What if our behavior actually makes us apes? What kind of apes are we? Lately, the most passionate advocates of the theory of evolution seem to present it as bad news. Scientists such as Richard Dawkins, Lawrence Krauss, and Sam Harris tell us that our most intimate actions, thoughts, and values are mere byproducts of thousands of generations of mindless adaptation. We are just one species among multitudes and therefore no more significant than any other living creature. Now comes Brown University biologist Kenneth R. Miller to make the case that this view betrays a gross misunderstanding of evolution. 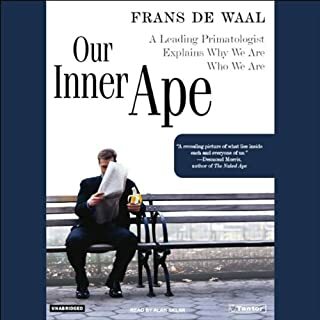 In this provocative book, primatologist Frans de Waal argues that modern-day evolutionary biology takes far too dim a view of the natural world, emphasizing our "selfish" genes. Science has thus exacerbated our reciprocal habits of blaming nature when we act badly and labeling the good things we do as "humane". Seeking the origin of human morality not in evolution but in human culture, science insists that we are moral by choice, not by nature. Citing remarkable evidence based on his extensive research of primate behavior, de Waal attacks "Veneer Theory", which posits morality as a thin overlay on an otherwise nasty nature. He explains how we evolved from a long line of animals that care for the weak and build cooperation with reciprocal transactions. Drawing on both Darwin and recent scientific advances, de Waal demonstrates a strong continuity between human and animal behavior. In the process, he also probes issues such as anthropomorphism and human responsibilities toward animals. 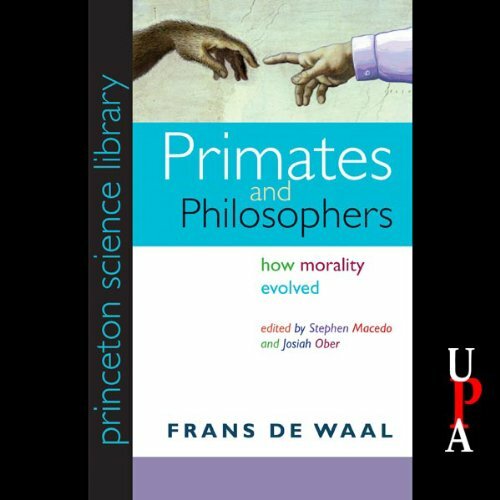 Based on the Tanner Lectures de Waal delivered at Princeton University's Center for Human Values in 2004, Primates and Philosophers includes responses by the philosophers Peter Singer, Christine M. Korsgaard, and Phillip Kitcher, and the science writer Robert Wright. 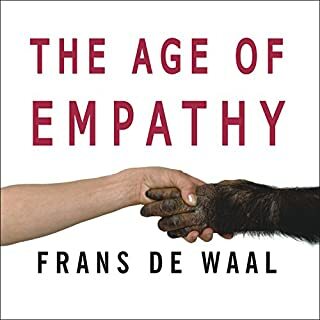 They press de Waal to clarify the differences between humans and other animals, yielding a lively debate that will fascinate all those who wonder about the origins and reach of human goodness. The book is published by Princeton University Press. Bekoff and Pierce's WILD JUSTICE, Peterson's THE MORAL LIVES OF ANIMALS and Morell's ANIMAL WISE, de Waal's PRIMATES AND PHILOSOPHERS came in as the perfect follow-up book to round out the line of thought. This collection of "debate essays," penned by Frans de Waal, Peter Singer, Christine M. Korsgaard, Phillip Kitcher, and Robert Wright (see my review of his THE MORAL ANIMAL), put forth the idea that morality is neither relative nor the sole property of human beings, but qualities that have developed for group survival and prospering through the process of evolution and natural selection, namely that characteristics such as empathy, fairness, justice, and rule-based interactivity are intimate parts of nature which all beings share in greater or lesser degree. (The question of degree is important, as no one wants to argue that a rat and a dog have the same level of moral sense as a human being--even though a rat can show a degree of empathy and a dog can participate in rule-based interactions.) 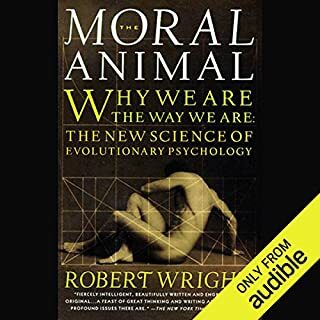 I suggest the books listed above be read first and this be the cap--the ideas dovetail quite nicely, and the books on animal morality serve as a great preparation for a book about how animal morality evolved into human morality. 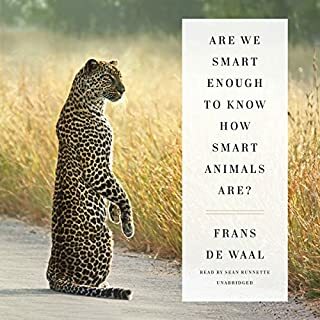 I was looking for an audio book based on Frans de Waal's works. This audio book is not about explaining about evolutionary biology. 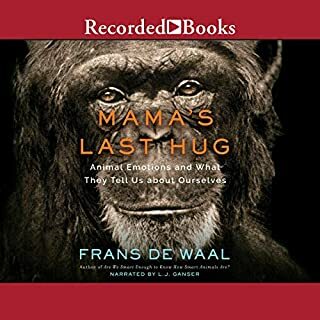 In this audio book you get to hear some things Frans de Waal has found out and then get to hear what opponents in his field think about that. I really wonder why they wanted to make that into an audio book. The book argues around multiple cores, mostly about whether animals have evolved enough moral system to be humanized, intentionally ethical and has planning strategic, or animals behavior is governed by instinctive impulses away from mindful actions. What’s great about this book is that it’s including multiple scholar’s opinions against De Waal’s “Veneer Theory” which is the argument that morality is only a thin veneer overlaid on an amoral or immoral core. The scholars beside de Wall are, Robert Wright, Christine M. Korsgaard, Philip Kitcher and Peter Singer. A very good book that worths every minute. What could Frans de Waal have done to make this a more enjoyable book for you? Make it more linear with clear conclusions at the end of each chapter. What about Alan Sklar?? ?s performance did you like? If you could play editor, what scene or scenes would you have cut from Primates and Philosophers? None.Needs somehow a conclusion, with a short review by the end of each chapter.More linear story as well. really good reading of a sometimes boring book. I was able to do it pretty much whenever I was able to listen to my Ipod. What does Alan Sklar bring to the story that you wouldn’t experience if you just read the book? Possibly the inflections in the reading, striking important points of interest. Not really. Maybe some people can read about psychology of anyone in one sitting, but I can't. Over good book about an overall, and mostly dry subject. 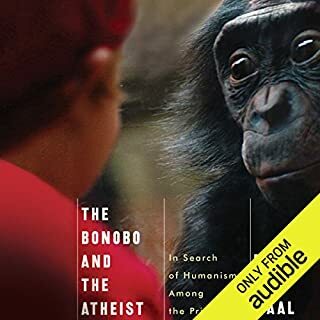 As a graduate student of psychology, and a volunteer at a primate santuary, this book made learning psychology interesting. Would you recommend Primates and Philosophers to your friends? Why or why not? Yes, if they like to think. Did Alan Sklar do a good job differentiating all the characters? How? It was a little dry. Could have used different voices for different philosophers. Great book. I disagree with the conclusions of de Waal. Regardless valuable read for anyone who wants to better understand evolutions place in the role of ethics and morality. I found the first part, Frans de Waal's observations of animal behaviour and his thoughts, very interesting and engaging. This is followed by commentary from a number of different experts which I am finding to be extremely dry at times, struggling to focus, especially as some of the arguments presented by them seem to misinterpret or completely ignore parts of de Waal's writing. It's not a light listen. I am currently stuck with about 1 hour left. Narrator's performance is fine, perhaps a little monotonous at times.